Pipeline Welders tend to command a premium in wages, hence it is a highly desired niche for many Welders. It is however a very demanding environment and not everyone is cut out to lead the life of a pipeline Welder. 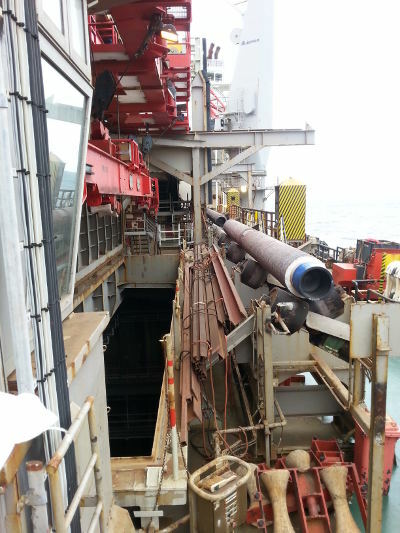 When we discuss the job of pipeline Welder on this page, we will be looking at the construction of both cross country pipelines and subsea pipelines. While there are obvious differences between these two jobs, there are also a lot of similarities. A big question that many people ask is: What is the difference between a pipeline Welder and a piping Welder? Well, a piping Welder tends to construct piping systems that are contained within an industrial environment such as an oil refinery or chemical plant or other factory. It typically deals with many different sizes of piping and potentially many different materials. The pipe spools that are made up all tend to have unique shapes, so they are pretty much custom made on a one-off basis. A pipeline Welder works on "transmission" pipelines that can span my kilometres. It is not uncommon for these pipelines to span hundreds of kilometres. These pipelines typically transport oil from oil fields to refinery or production facilities, or transport gas from gas processing facilities to end user markets etc. When constructing these long pipelines, the welds tend to be very similar in nature, and the highly repetitive nature of the welding work tends to favour the use of highly productive welding processes and techniques. Some welding techniques such as the use of cellulosic welding consumables are allowed on pipeline welding, when they would be prohibited for most other pressure containing applications, due to the specific productivity advantages that they provide. This means that pipeline Welders need to have these skills in their arsenal, which would not be required by the process piping Welder. It is important to note that pipelines are designed and built to different codes than process plant piping. To take account of the fact that transmission pipelines are more material intensive, and are often installed in such a way that they are isolated from humans, they tend to be made to higher stressed designs than is the case for process piping. The first thing to note is that under most circumstances today, the mainline welding is performed with automated welding. This requires pipeline Welders to get training on the use of the automated welding set-ups to be used on the job. There are a number of different automated welding set-ups, so irrespective of the Welder's past experience, all Welders being taken on to do mainline welding on a pipeline project will be required to go through a 1 to 2 week training course to be familiarized with the particular welding equipment and welding procedures. The automated welding is mostly based on Gas Metal Arc Welding (GMAW) so you will need to master the semi-automatic version of this before you can be considered for the training on the automated equipment. 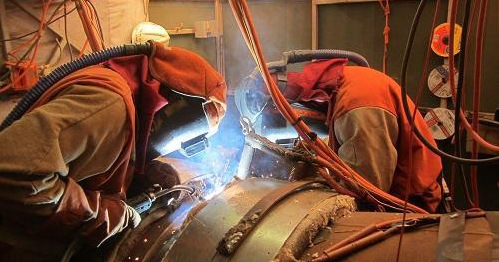 If you are to be a pipeline Welder, then you also need to have the skills associated with the manual welding processes typically used in pipeline construction. 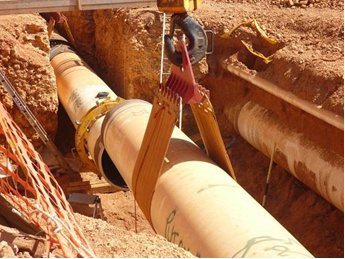 For some shorter and smaller diameter pipelines, the manual processes may be used on the mainline and for tie-ins, but for the larger pipeline projects, the manual processes will only be used for tie-in welding. Gas Metal Arc Welding (GMAW) - For mainline welding this will be automated GMAW, but you will first need to master the semi-automatic GMAW. Surface tension transfer (STT) or other similar wave form controlled short circuit mode GMAW for the welding of pipeline root beads. This is typical for the tie-in welds. Shielded Metal Arc Welding (SMAW) with cellulosic electrodes. This is typically used for the root runs of tie-in welds, or for mainline welding when the pipeline job does not warrant the use of automated welding. For some welds, the entire weld (root, hot pass, fill and cap) is completed with Cellulosic electrodes. The pipeline welder will need to be able to weld in the downhill (stovepipe welding) or uphill progressions. SMAW with Low Hydrogen Vertical Down (LHVD) electrodes. On some projects, the use of high hydrogen welding consumables such as cellulosic electrodes are not allowed. In that case, the LHVD electrodes are sometimes used for the fill and cap passes of the tie-in welds. Flux Cored Arc Welding (FCAW) For some tie-in welding the gas assisted FCAW semi-automatic process is used. For smaller pipeline projects, FCAW may also be the mainline process for the fill and cap passes. There are also automated FCAW set-ups, but this tends to be limited at this stage. Submerged Arc Welding (SAW) - This is used for "double jointing". Not all pipeline projects use double jointing, but where the economics make sense it is done. 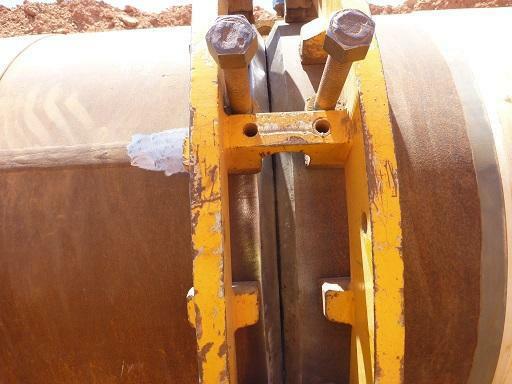 Only a small number of Welders on a pipeline job will be involved with SAW, if at all. In addition to the above welding processes, the pipeline Welder obviously also needs to know how to use all the standard "tools of the trade" such as propane torches, grinders, hot boxes etc. Side-boom operators that lift and lower the pipes, to align their ends for welding of the root run. Side-boom operators for moving the welding cabins that protect the Welders and the weld joint from wind and other environmental factors. Personnel for inserting and aligning the internal clamp for doing the root run. The Welders that operate the welding equipment. There will be a number of different welding groups, each doing just a certain section of the weld. One group will do the alignment and root run, the next may do the hot pass and one fill pass. This may be followed by two more groups each doing a number of fill and capping passes. The number of groups will be determined by the pipe thickness and a number of other factors. For tie-in welding, the team tends to be much smaller than for the mainline welds. Typically tie-in welds are spaced quite far apart, so the logistics associated with moving the people and equipment is also much different. The main difference with tie-in welding is that access to the inside of the weld is not possible, hence the welding processes employed need to be able to be done effectively without backing. 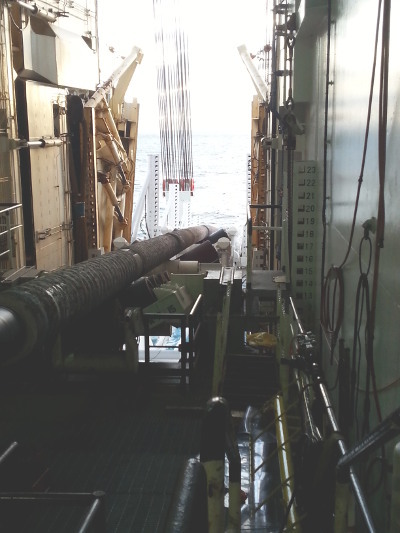 With subsea pipeline construction, the pipeline is typically welded on a "lay barge" and slowly fed out of the back of the ship into the sea. There are different ways of doing this (S Lay; J Lay) but for our purposes we will look at the most common, which is the "S-Lay" method. The welding is done at different welding stations along a production line typically called the "firing line". At each welding station, a certain part of the weld is completed. A typical set-up may use 6 welding stations and also other stations where Non Destructive Testing (NDT) and Field Joint Coating (FJC) are performed. As the welding stations are stationary, and it is the pipeline that moves relative to the welders, the conditions for subsea pipeline welding are more controlled than is the case for cross-country pipeline welding. 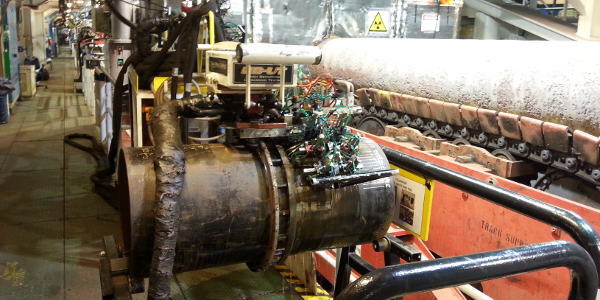 Almost all subsea pipelines are welded with automated welding, mostly based on GMAW. The only exception is when the pipeline diameter is so small that internal clamping is difficult and the use of externally clamped "bugs" are not practical. Under these circumstances manual processes such as Gas Tungsten Arc Welding (GTAW) and low hydrogen vertical down (LHVD) SMAW welding may be used. Manual welding processes are however typically used for performing repairs. Gas Tungsten Arc Welding (GTAW) - This is used only very rarely. Mostly when through thickness repairs are required, or for the root runs of very small pipeline diameters. SMAW with standard low hydrogen electrodes. This is normally used for repair welding. SMAW with Low Hydrogen Vertical Down (LHVD) electrodes. On small diameter pipelines, the best alternative for relatively high production welding is the use of SMAW with LHVD electrodes. As a general rule, high hydrogen welding processes are not allowed when laying subsea pipelines, hence cellulosic electrodes are not used. The costs associated with laying subsea pipelines are very high due to the very high daily cost of operating a lay barge. For this reason, repair rates are very critical to the success of the job, because every time there is a repair, the entire firing line comes to a standstill while the repair is performed and the subsequent NDT performed. This may take a hour or more, during which time no other production is possible. Welders causing repairs are not popular in such an environment, hence the big emphasis on making sure that welders can perform on a consistent basis before being allowed to go off-shore. This is a high pressure job environment! Must be able to pass the required off-shore medical. While this is not that onerous, somebody with severe health issues will not be able to pass this test. Company specific safety training is also usual, but such training will be included as part of your "onboarding" process with the specific employer. Most pipelines are ordinary carbon steel, hence 90% of pipeline welding is done with carbon steel welding consumables. Some pipelines, especially subsea pipelines, have Corrosion Resistant Alloy (CRA) liners in them. This means that while the main structural part of the pipeline is carbon steel, the welding filler metals used are typically Nickel based alloys. For this reason prospective sub-sea pipeline Welders would do well to hone their skills welding with these welding consumables. A very important aspect of being a pipeline Welder is the lifestyle that comes with it. This is not your typical 9 to 5 job, so you need to understand that it will significantly impact your home life. For single people this is not necessarily a big problem, but for those in long term relationships this can cause significant stress. Long working hours: Typical work hours are 12 hour shifts 7 days a week while you are on the job. This leaves you with little spare time to do other activities. 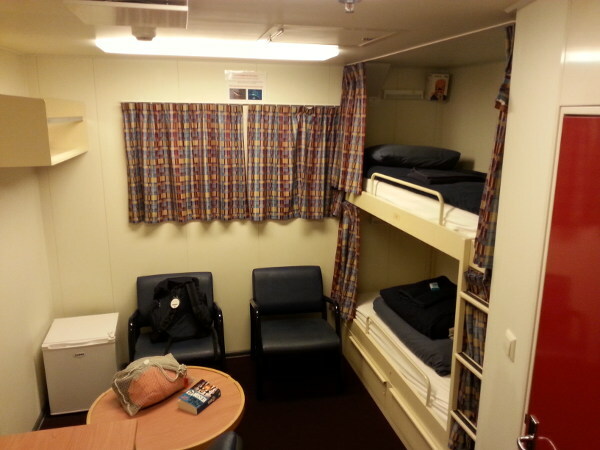 Staying in communal living arrangements: Some camps may have single person rooms, so you do not need to share, but most camps and off-shore facilities require you to share bedrooms with one or more other people. Normally the catering arrangements are taken care of, and eating is in large communal dining rooms. As a general rule the food is good, so keeping fit and slim is a big challenge! High pressure: Very few jobs have a constant review of your work performance on a daily basis. As a pipeline Welder your performance will however be monitored on a daily basis. It only takes a couple of "off" shifts for you to be put on the next plane home. The job is very much productivity driven.